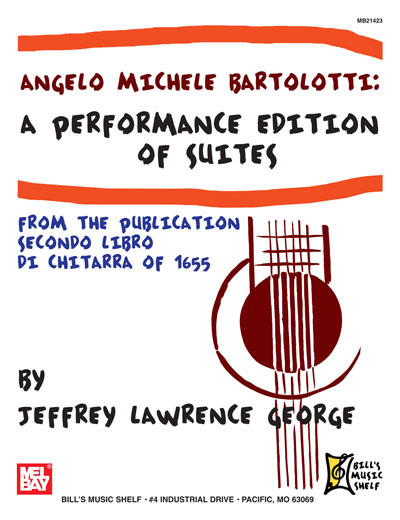 A scholarly, comprehensive performance edition of the Angelo Michele Bartolotti suites from the publication "Secondo Libro Di Chitarra of 1655". Included are chapters on the "transcription process", "13 Suites from Secondo Libro Di Chitarra" scored for guitar solo, and facimile reproductions of the original tablatures. This is a historic edition which should augment any guitarist’s library.